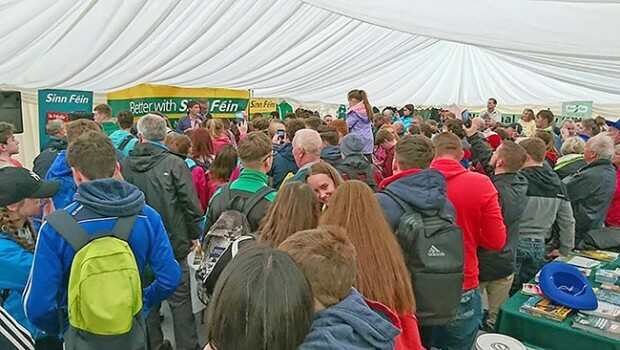 A HUGE CROWD packed out the Sinn Féin tent and was spilling out the door at the annual National Ploughing Championships, held this year in County Offaly, for the party's talk and Q&A on the potential impacts of Brexit – the British withdrawal from the EU – on the whole of Ireland. Sinn Féin leader Gerry Adams was swamped by well-wishers when he arrived at the event, despite scurrilous and unsubstantiated allegations made against him by paid British informants and parroted by mainstream media. 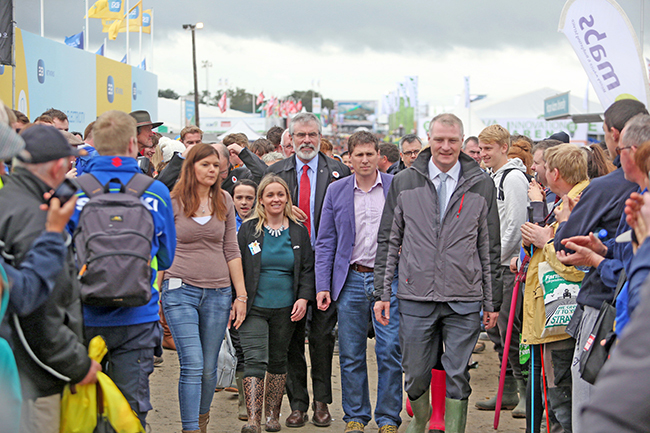 Sinn Féin had a major presence throughout the three-day event from 20-22 September at Screggan, Tullamore, Europe's largest outdoor exhibition, attracting an estimated 300,000 people. 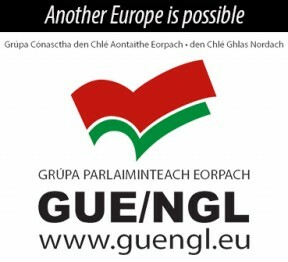 Thousands of people visited the Sinn Féin stall where they grabbed a cup of tea and the chance to meet elected representatives from all over Ireland and discuss key issues with them on the fringes of the talks on: ‘A National Health Service’, ‘EU trade deals – Bad for farmers’, ‘Brexit, Irish unity and agriculture’, ‘A fair economy for rural Ireland’, ‘Investing in rural Ireland’, ‘Meeting the challenges of price volatility’, and ‘2017 CAP review – Defending the interests of Irish farmers’. 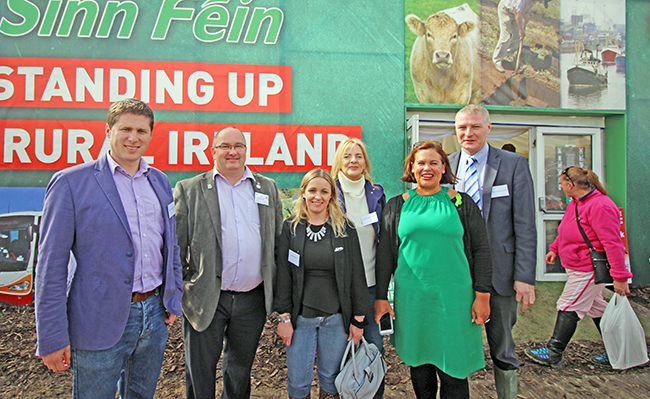 Speaking to An Phoblacht, Offaly Sinn Féin TD Carol Nolan said the event is “invaluable” when it comes to meeting and discussing key issues affecting those living in rural communities. “Farm incomes are the key issue. Farmers put in all the work, take all the risks and they get the least out of their produce. “Whenever we open the fridge or the press, whatever we take out of it, a farmer had to produce it, yet the farmer is the one who makes the least out of it. Meanwhile, the Irish Independent was left red-faced after it leapt to politically censor a participant in its “Farmer’s Makeover” event at the Ploughing Championships. A shocked crowd watched as an Irish Independent apparatchik snatched a microphone from the hands of one makeover candidate, who took the opportunity to hit back at the newspaper’s distorted coverage of Sinn Féin. His view was silenced almost immediately by Indo technicians, who dramatically shut down the sound to the stage, perhaps reinforcing the point that had been already been well made.